Pretoria is a top-notch destination for art lovers, with some of the best art galleries and museums in the country located in the capital city. However, there is also a large number of public art to discover, ranging from historical pieces to contemporary and “fun” art. Here are some of our favorites. 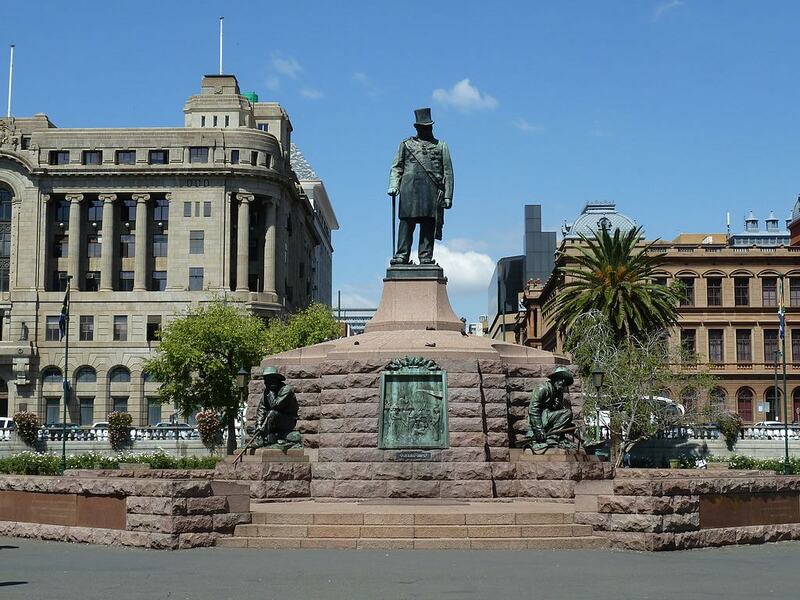 The statue of President Paul Kruger at Church Square is an iconic symbol of Pretoria. It was commissioned by Sammy Marks and sculpted by well-known South African artist Anton van Wouw in 1896, although it was only installed in its current place in 1954. Since then, “Oom Paul” (Uncle Paul) has watched over the city in pride of place, although his statue has recently been fenced in to protect it from vandalism. The statue of Barry Hertzog, Prime Minister of South Africa from 1924 to 1939, was removed from its longtime spot in front of the Union Buildings to make way for a nine-meter (29.5-f00t) tall statue of Nelson Mandela, the first democratically elected president of the country. This enormous likeness of Madiba was created by sculptors André Prinsloo and Ruhan Janse van Vuuren in the “spirit of reconciliation” pose, with arms wide open and bestowing his blessing upon the people of the Rainbow Nation. 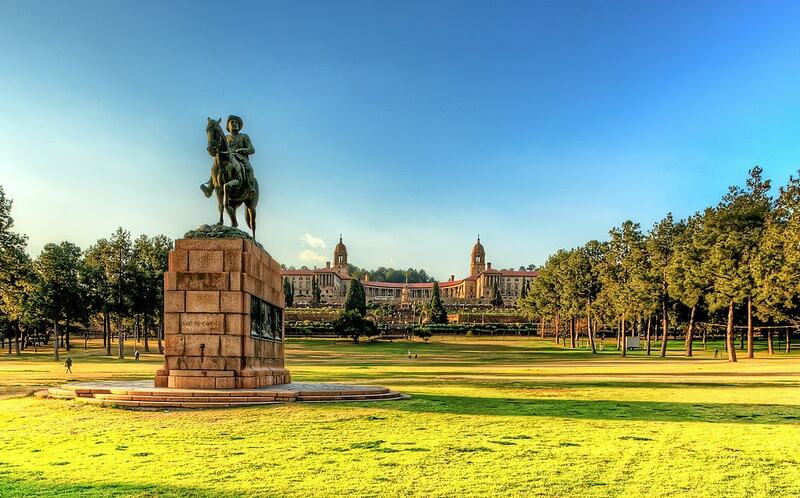 Also within the gardens of the Union Buildings is the equestrian statue of Louis Botha, by Italian sculptor Raffaello Romanelli. Botha fought in the Second Boer War (1899–1902) and was responsible for the capture of Winston Churchill in 1899. He later worked towards peace with the British and became the first Prime Minister of South Africa. The Tshwane district, which Pretoria forms a part of, is named after the Tshwane River (better known as the Apies River). 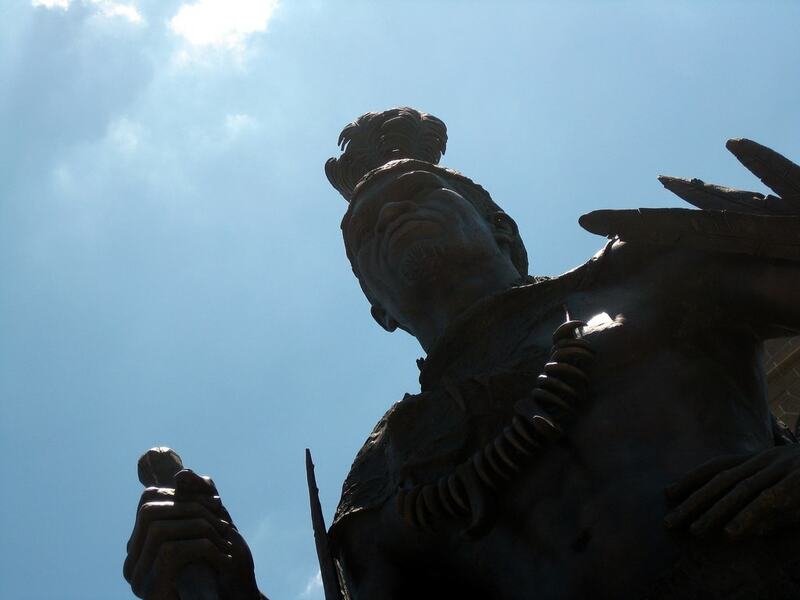 The river was named after a local chief whose six-meter (19-foot) bronze figure now stands in front of City Hall. The statue has been surrounded by controversy due to its exorbitant cost and the request that it replace the statue of Paul Kruger in Church Square. Angus Taylor’s sculpture Little Mama Africa was commissioned for the 2010 FIFA World Cup and stands seven meters (23 feet) tall within the Atteridgeville soccer stadium. The figure is of a girl holding out a gift and symbolizes the youth as our future, while simultaneously contrasting the dominance of male statues, usually on a horse or holding a gun, in public artwork. She also serves as a reference to a natural body shape, rather than the usual idealized female figure. One hundred life-sized bronze statues, called The Long March to Freedom, form part of the National Heritage Monument in development around the Fountains Recreation Resort in Groenkloof. The aim is to eventually have 400 statues of significant individuals in the struggle against oppression in South Africa, including historical chieftains and modern activists such as Nelson Mandela, Helen Suzman and Alan Paton. 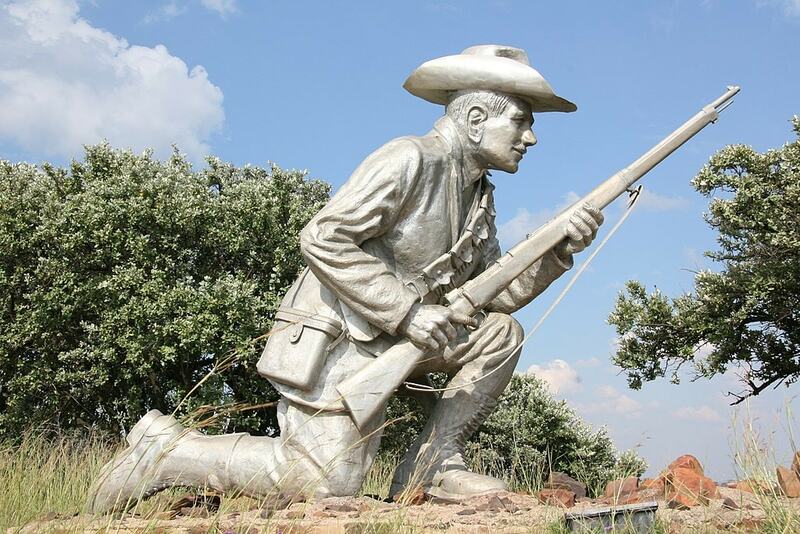 The sculpture of Danie Theron, one of the top scouts during the Second Boer War (1899–1902), was originally commissioned for the Danie Theron Combat School in Kimberley in 1969. When the school ceased operation, the statue was donated to the Voortrekker Monument by the SA National Defense Force and now keeps watch over Fort Schanskop, facing the direction in which Theron was killed in action in 1900. 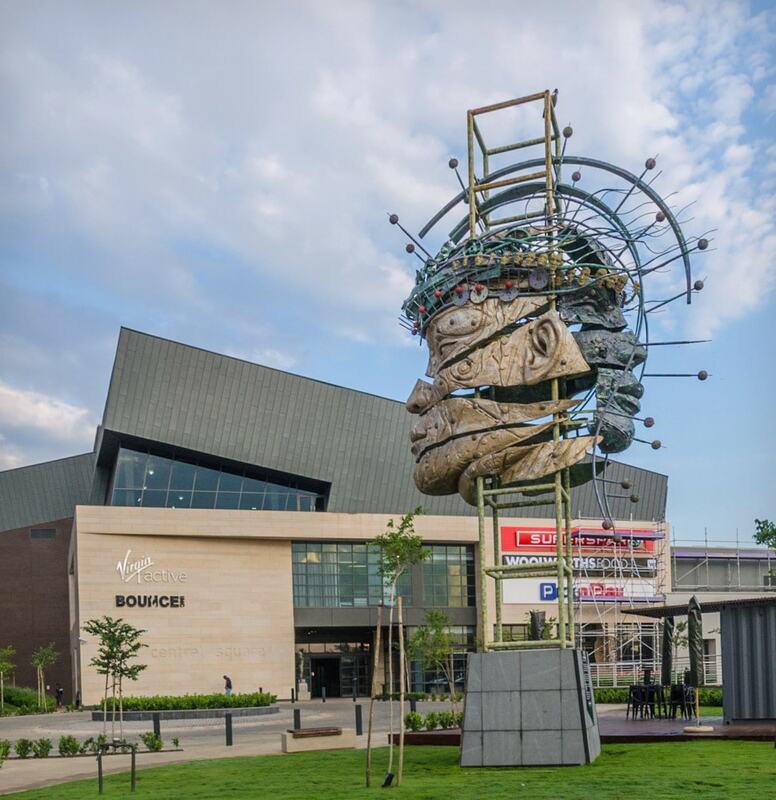 Commissioned by Menlyn Maine shopping center and created by Anton Smit in 2014, The Spirit of Tshwane sculpture is an excellent example of modern public art in Pretoria. Standing 11 meters (36 feet) tall, the sculpture symbolizes the theme of interdependence and growth. 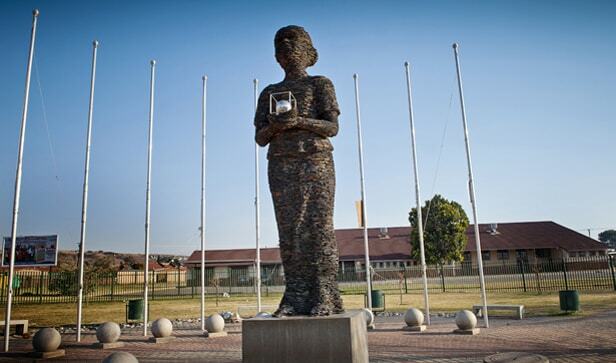 The cracked spaces within the two large heads contain other small faces that represent the people of Tshwane. A quirky, steel sculpture of a rhino appeared mysteriously one night in 2016 outside the Fort Klapperkop Heritage Site. 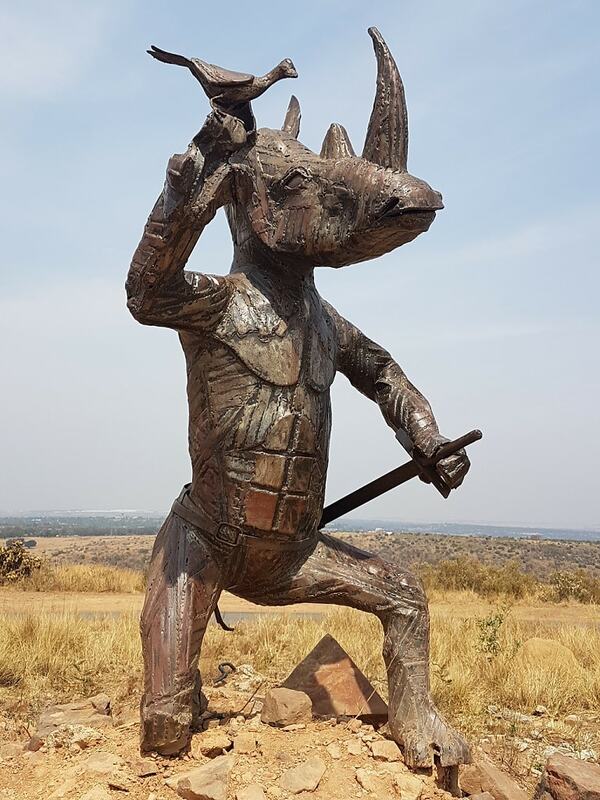 The purpose and symbolism of the rhino guardian baffled the residents of Pretoria for almost a week, before the Office of the Mayor confirmed that it was erected in conjunction with a cleanup project aimed at preventing people from dumping rubbish in the nature reserve. The rhino’s purpose is to preserve nature, while the oxpecker bird sitting on the rhino is to protect the rhino from poachers. 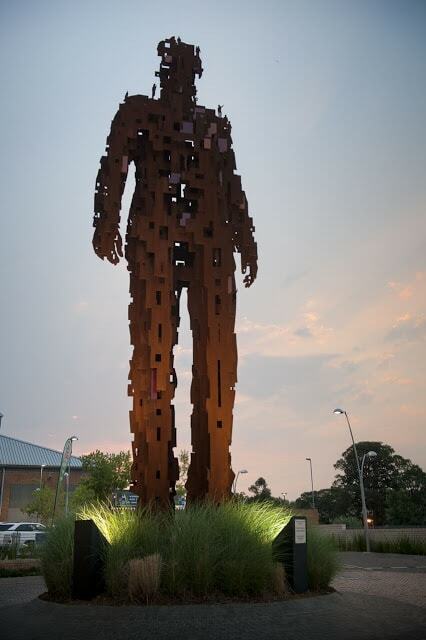 Sculpted on commission by Marco Cianfanelli in 2010, Urban Being is an 11.9-meter (39-foot) tall, rusted steel giant that dominates its surroundings in Hatfield. The three-dimensional silhouette of a man in a suit speaks of modern urbanism and the interconnectedness of modern living. 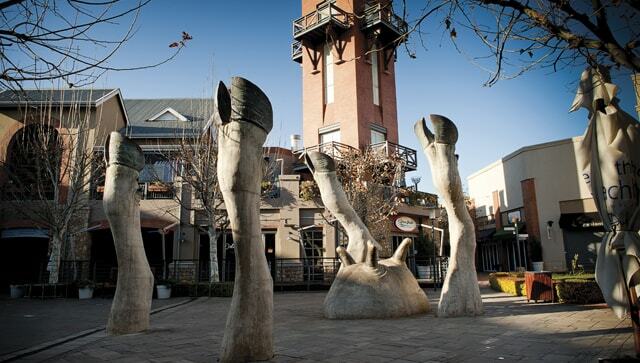 The Irene Village Mall, with its dairy-farm theme, is home to an unusual sculpture named The Udder Side by artist Angus Taylor. Children love clambering all over the upside-down udder and legs of a dairy cow emerging from the ground. Cast in concrete and topped with cast bronze hooves and teats, this six-meter (19-foot) high sculpture is a humorous homage to the dairy cow, the unofficial symbol of Irene.